How to make the fascinating totally boring! An unprecedented publishing event: to mark the centenary of its foundation, the British Security Service, MI5, has for the first time opened its archives to an independent historian. The book reveals the precise role of the Security Service in 20th-century British history, from its foundation by Captain Kell of the British Army in October 1909, through two world wars, up to and including its present roles in counterespionage and counterterrorism. 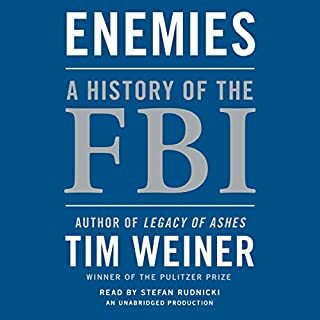 The book also describes how MI5 has been managed, what its relationship has been with government, where it has triumphed, and where it has failed. In all of this, no restriction has been placed on the judgments made by the author. 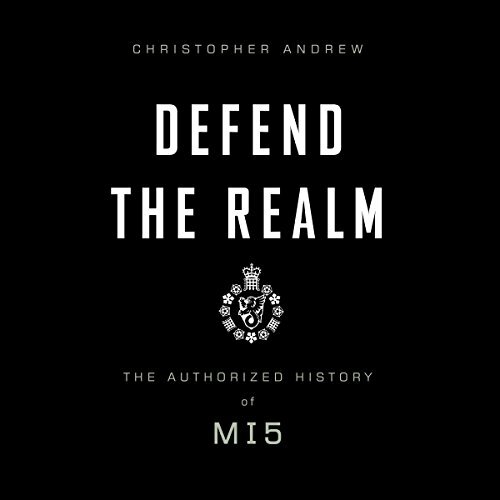 Defend the Realm also reveals the identities of previously unknown enemies of the United Kingdom whose activities have been uncovered by the Service, adds significantly to our knowledge of many celebrated events and notorious individuals, and definitively lays to rest a number of persistent myths. Above all, it shows the place of this previously extremely secretive organization within the United Kingdom. Few books could make such an immediate and extraordinary increase to our understanding of British history over the past century. A very throrough and impartial history. Christopher Andrew has excelled himself in the daunting task of cataloging and critiquing the first century of MI5's work in the UK and around the Commonwealth. I found the tone both entertaining and witty. This book could have so easily been either too dry or, even worse, too trashy and "spy thriller" like. Thankfully, Defend the Realm is neither. It is, instead, filled with insightful analysis and intriguing new information. I do have two minor criticisms, however. Firstly, one of the middle sections - dedicated to the Service's role in the break up of the Empire - drags on a little. MI5 did very similar things in almost all newly independent countries and the repetition becomes a little stale. Lastly, the final section on the Service's modern day responsibilities (counter-terrorism) is all too brief. Sadly, this is unavoidable due to the sensitive nature of the book and Andrew Explains this in the foreword. 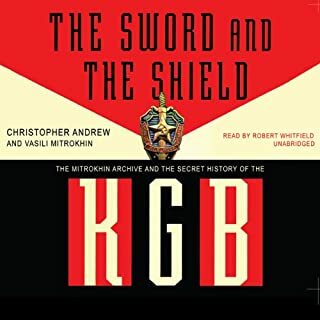 I would highly recommend Defend the Realm, especially to those interested in 20th century history and most of all those interested in the role of espionage in both World Wars and the Cold War. You will be surprised at all that the Service has achieved and entertained by a brilliant writing style. I would like to also commend Robin Sachs reading. His voice adds greatly to the success of the audio-book, despite his occasional accents. Where does Defend the Realm rank among all the audiobooks you’ve listened to so far? Defend the realm is an unique kind of book. 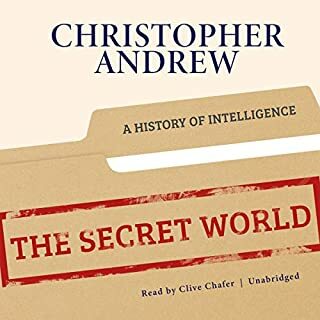 It is a very informative, to the point of being a bit droll at times, but at the same time, it manages to capture the feeling of camraderie and adventure that it describes being present in Mi5. When I finished the book, I felt like I had just finished a career at Mi5 (and not just because of the book's length! ), and felt nostalgia for times past. The feelings of victory at the end of world war one and two were conveyed adeptly to the reader, and they were touching to me. 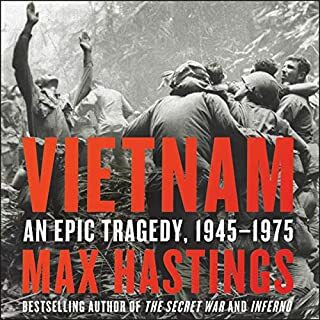 The narrator does a fantastic job of sounding both professional and interesting, which is very much in the spirit of this book. I was looking forward to reading this book but it turned out to be one of the very few books that I could not finish. 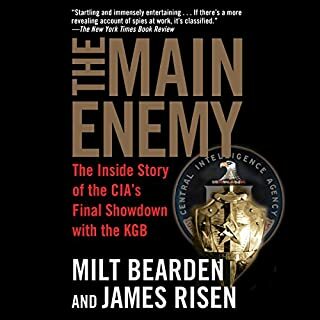 The author was given access to the files of the British secret service...and the book reads exactly like it came from the files. The author apparently felt it was not his job to write an interesting book as opposed to just copying what was in the files. It reads like a term paper. No comment, no humor, just the facts and nothing but the facts. Hard to make this stuff boring but it is boring, boring, boring. You get the idea. Extremely interesting until the end. just fizzled. Maybe later additional information will become declassified and add more insight post 9/11. Would you try another book from Christopher Andrew and/or Robin Sachs? I don't think so, unless I see reviews that say "way better than his other works, this one actually grabbed my attention". or somesuch. What was most disappointing about Christopher Andrew’s story? Felt like a recectiation of facts- no energy or zing to it. 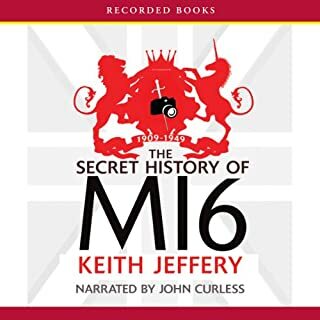 I have enjoyed learning the history of MI5. This was obviously a well researched and written book, and the narration was good if a little bland. My major criticism is one that I should have realized when I bought the book. It is written by a British historian -- which of course translates to making a very exciting subject blander than it would have been if it had been written by a novelist or someone outside of academia.